Reading a Gurnah novel is like savoring a delicate dish of language--each sentence is a bite of beauty and subtle flavor that you don't want to end. By The Sea is a novel of exile, of what it means to be a refugee, but it unfolds as something much more: a generational family drama of love and betrayal, set against political events on the coast and in Zanzibar: slavery, colonialism, and the Zanzibar Revolution. 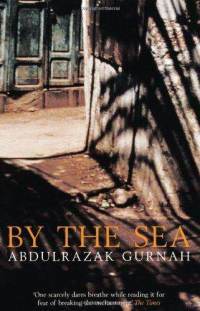 The book opens with the protagonist, an elderly Zanzibari named Saleh Omar, seeking asylum in the UK. Traveling under an assumed name while pretending not to speak any English, Saleh is treated to a self-righteous lecture by an immigration official who concludes his interview by stealing Saleh's only precious possession, a carved wooden box full of Cambodian oud. The story paints a grim portrait of a man beaten down by life, alone with his memories as he moves through detainment to asylum, and is settled in a small town on the English seaside. But from a story about exile, the novel opens into a sprawling family drama as told through the faint remembrances of Saleh and another Zanzibari who he meets in England. The two men confront the bitterness and hidden wounds of the past, seeking solace from their loneliness in the hard truths they have to tell each other. As one other reviewer noted, the sea frames Gurnah's metaphorical language of loss and change, of connection and exile, of remembrance and forgetting. The acts of heroism in this magnificent novel are small, perhaps dwarfed by the mighty events that sweep the characters along through their tangled lives, but perhaps even more meaningful in their ordinary profundity.